He’s nothing short of a legend. 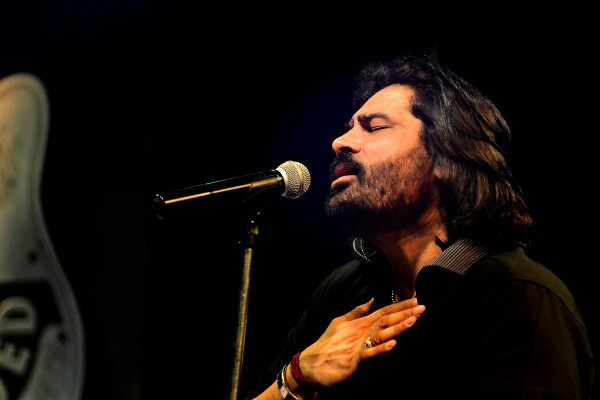 With immense talent and skill running through his veins, Shafqat Amanat Ali has contributed his soulful voice to high budget Bollywood films such as Shahrukh Khan starrer Kabhi Alvida Na Kehna and R.One among many others. 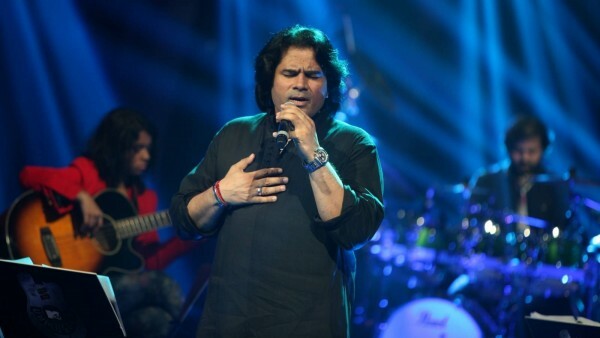 From being the lead vocalist of Füzon, to being one of the biggest names of Pakistan’s music fraternity, Ali is the pride of Pakistan. In an exclusive tete-a-tete with the veteran singer, we get to know it all! PakiUM: So tell me a bit about your current lineup of projects. 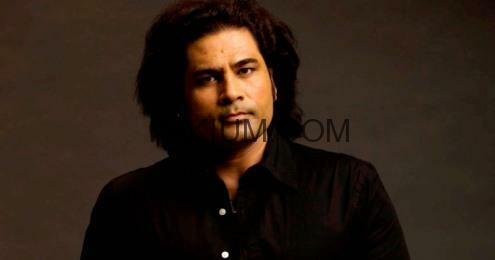 Shafqat Amanat Ali: Asia’s Singing Superstar just ended recently. Besides that, I have a couple of songs lined up on both sides of the border. PakiUM: How was your experience with Bachaana, and being a legend how was it working with the new wave of local cinema? SAA: I basically knew Nasir (director) through a common friends, and Ali Sher (music director) is also a very old and a dear friend. Back in the day, I had approached Nasir to direct one of my music videos. But that couldn’t shape up. But since than I knew how passionate they were about their work. And when Nasir offered me the song Yaari for Bachaana, it was truly one of the songs you fall in love with when you first hear them. They showed me the look of the film. It looked fabulous, and a complete package of entertainment. 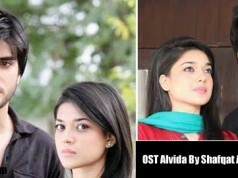 And since it’s a Pakistani movie, I have a special concern for it! PakiUM: How was your experience with Bollywood. What differences do you personally feel? SAA:The major difference I feel is of experience. They have been experimenting for all those years, and they’ve excelled. Whereas the local cinema went towards the wrong end. The most talented of people here stopped making film, hence the industry was on a hold. And whatever films were being made changed the face of filmmaking completely. The stories, the ‘hero’ concept and above all the soundtracks were certainly not up to the mark. Whereas India never stopped working, thus they kept growing with every film. Now I believe we have started taking baby steps again, we are facing the hurdles every new industry would. But I think we’re going strong and everybody is proving the fact that we just need a few chances, and we’ll be back on our feet! 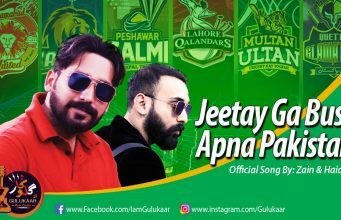 PakiUM: You’ve sung for the highest budget productions across the border. Tell us a bit about how it all started. 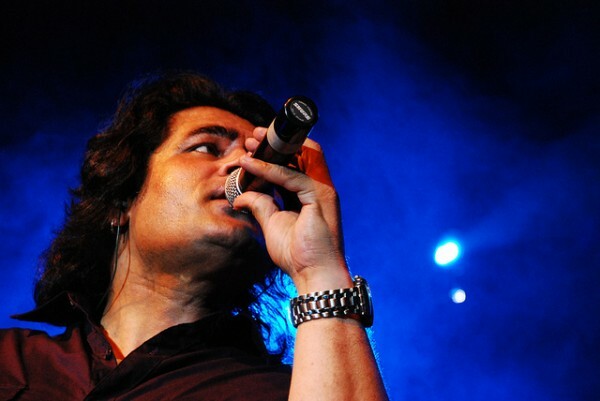 SAA: I had just released my first album and Shankar-Ehsaan-Loy had heard it and they wanted me to sing for one of their films. They called me, I went there and the rest is history! PakiUM: You come from a musical family, so was it always a passion or it was just carrying on the legacy? SAA: It was both! Because if you don’t carry on the legacy, you’re called misfit or somebody who’s not associated to the family. And our training starts in a way, that it becomes our passion. Nobody forces, neither is there any pressure – you can call it a trick! By the time children start speaking, they have enough learning that they simply want to pursue their careers as a musician. We grow up in such an environment! 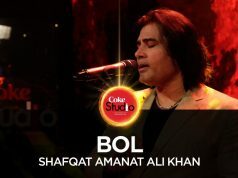 PakiUM: And how did you branch off from a classical background to pop and rock? SAA: It wasn’t a very difficult transformation to be honest. It basically happened when I was in college, my group of friends changed and so did my taste for music. And back in the 80’s everything was popular, music was all around us. I remember I used to attend a lot of ‘Battle Of Bands’ contests. From there on I started learning English songs and realised their similarity to one of the raags. So it became very easy for me to fuse both the genres together. 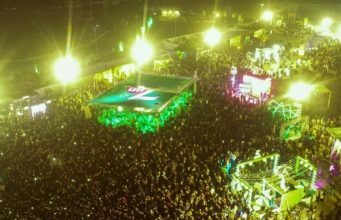 PakiUM: So according to you, what do you think has been the reason behind Pakistani music industry’s decline. SAA: The media and the people who have a bad sense of business. It’s not about selling whatever is being sold. By businessmen, I mean people who are running channels. And there was only one man, Ghazanfar, who had a dedicated channel for Pakistani content (music), called Indus Music. 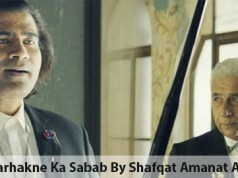 If you still think about it, it’s the Pakistani musicians who are selling everywhere. Pakistani music is being religiously followed worldwide! I’m not saying that we need to stop Indian content from crossing borders, but at the same time we need to realise that we must support and invent in our own industry as well! Let’s at least make an effort. 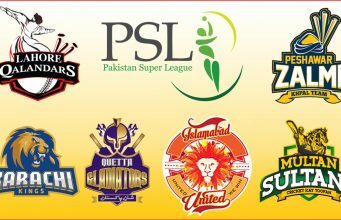 PakiUM: Tell me a bit about how your incredible journey has been so far. SAA: It’s been very productive. I’ve learned a lot, shared my experiences. Lastly, I’ve seen a lot and grew into a different sort of a person! PakiUM: How would you describe yourself in five words? SAA: I’m a very simple person! PakiUM: What would be your message for all the readers on the ending note? SAA: I wouldn’t agree with this question, because words of wisdom always come from great beings. I’m just an ordinary person. I can just tell you what I’ve learned over the years. There’s no shortcut to success, and to earn respect, you need to respect others. Previous articleBachaana is a rollercoaster ride with a dose of action, romance and comedy!